Low and hot! 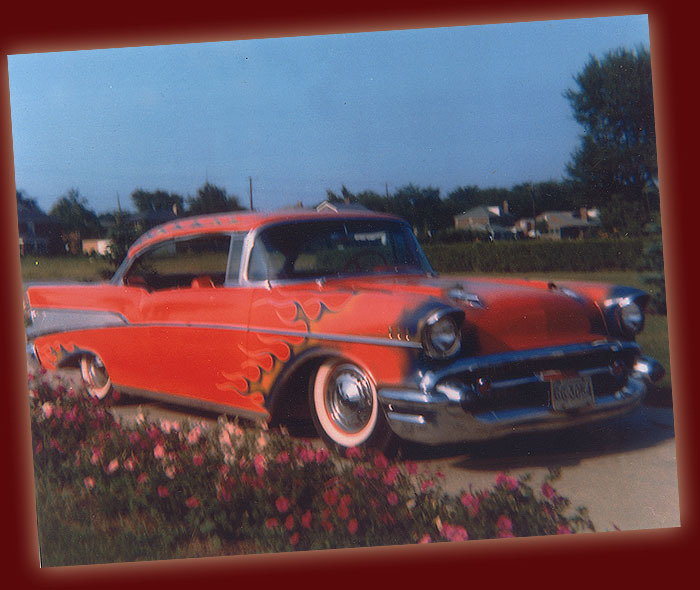 Tom Walter's '57 Chevy sports stripes and flames by local legend Paul Hatton. Tom was also a member of the Dearborn Roadmasters.